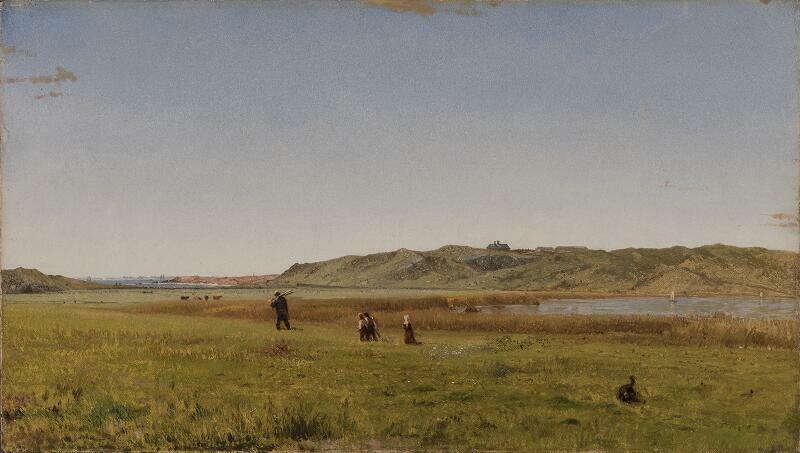 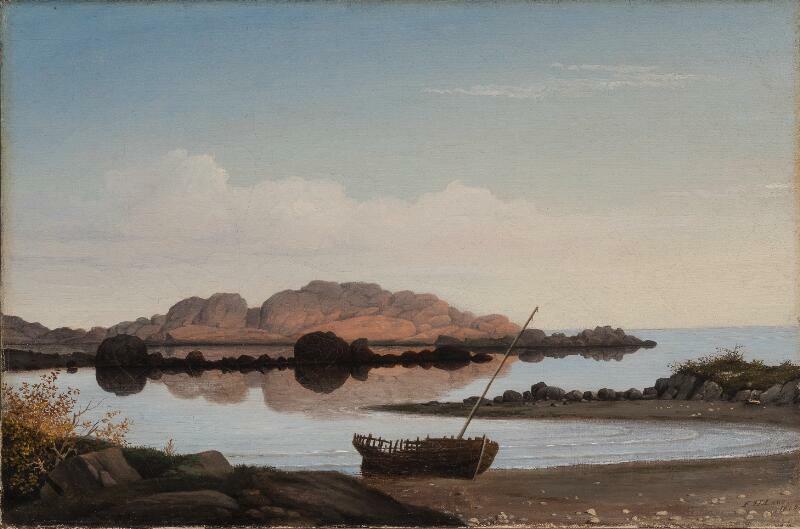 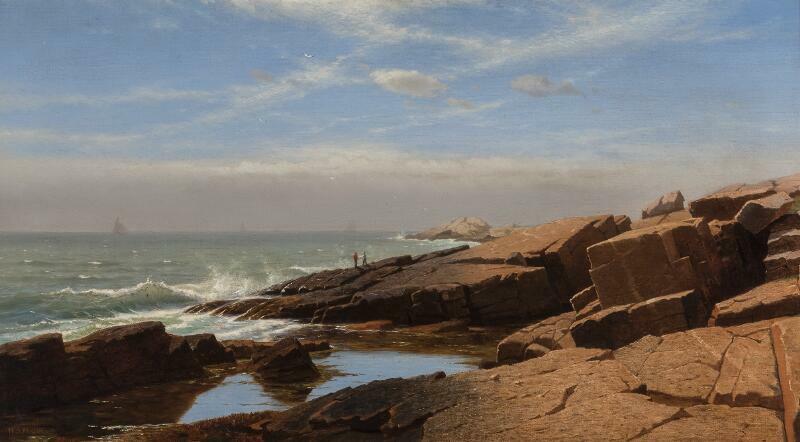 Francis Augustus Silva painted coastal and river scenes of the northeastern United States that feature low horizons, delicate color, and crystalline light. 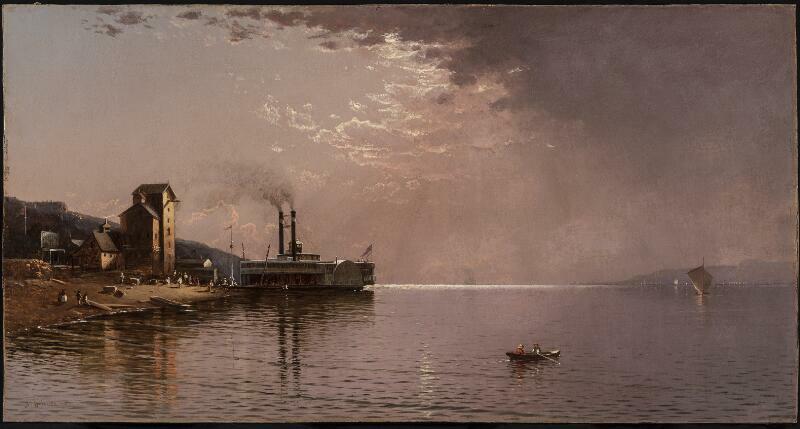 On the Hudson near Haverstraw, one of many views of the river that the artist produced, demonstrates his concern for subtle light effects. 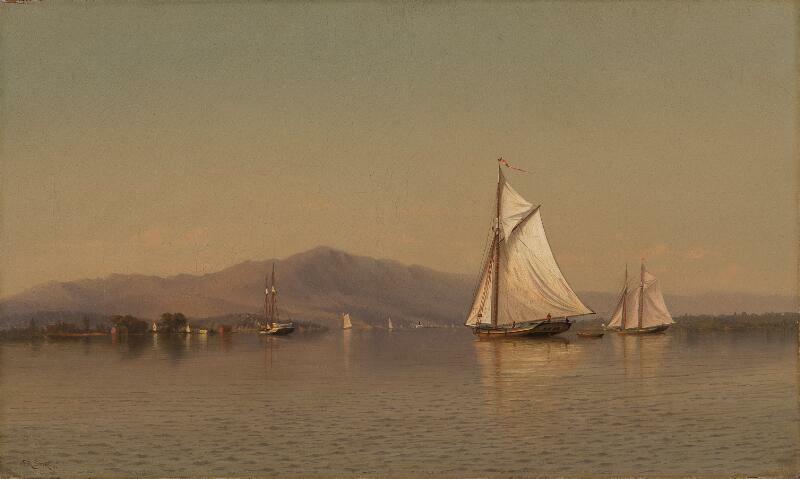 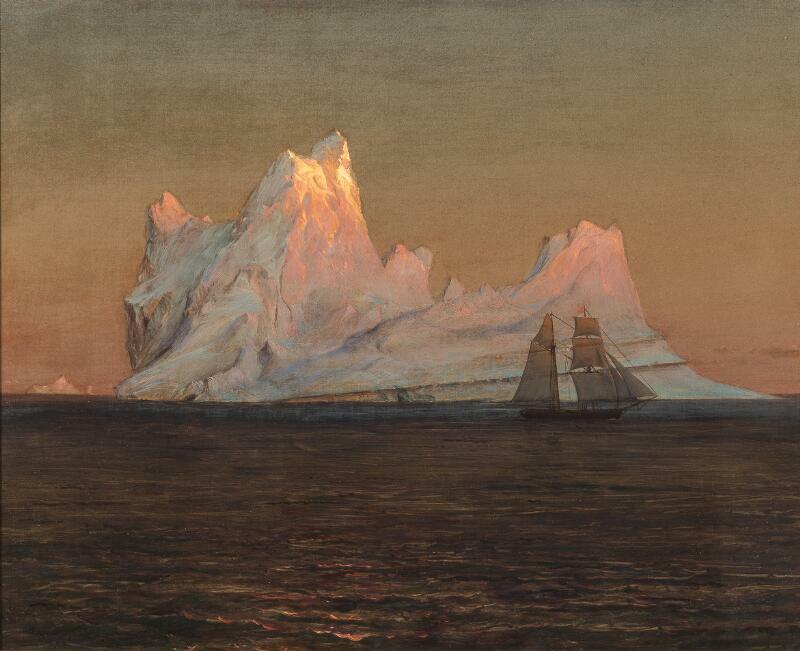 The image captures the scene in late afternoon; the low sun highlights the vessels and tints both water and sky with a narrow range of pastel shades. 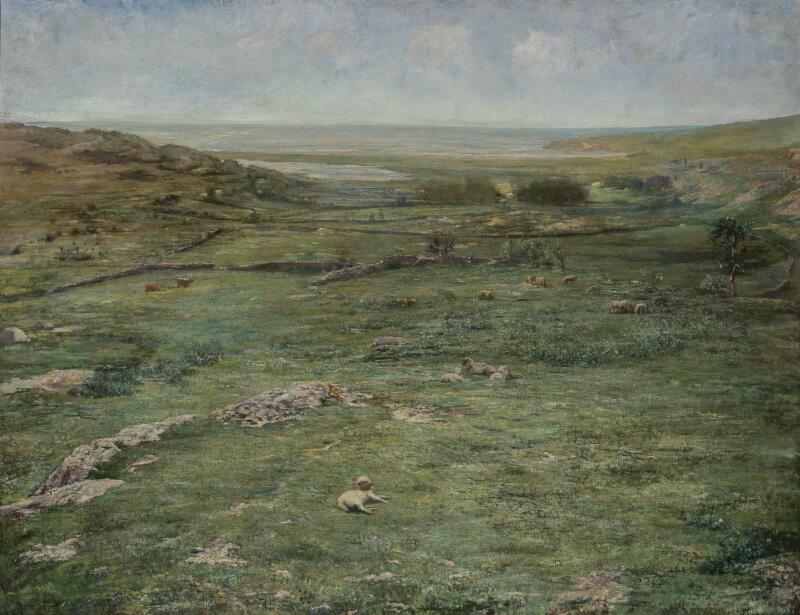 Unified by its pervasive illumination, the painting is both precisely rendered and geographically specific, showing the town of Haverstraw on the far shore. 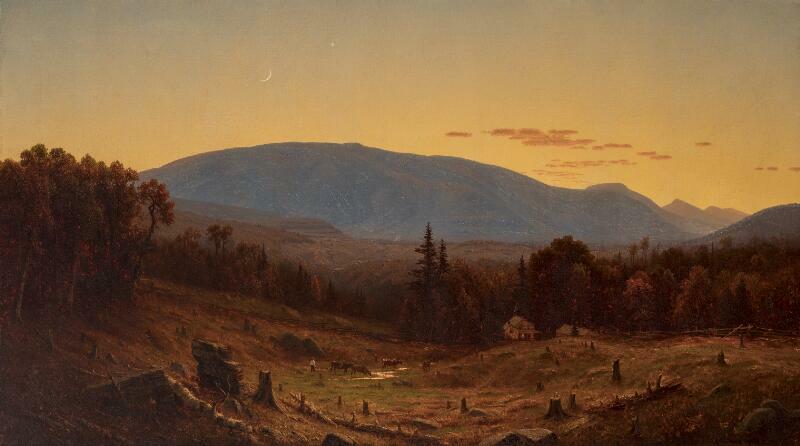 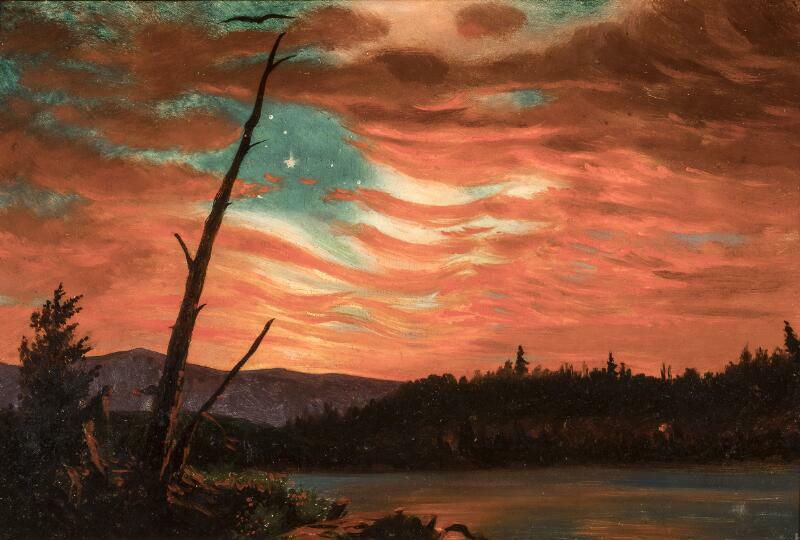 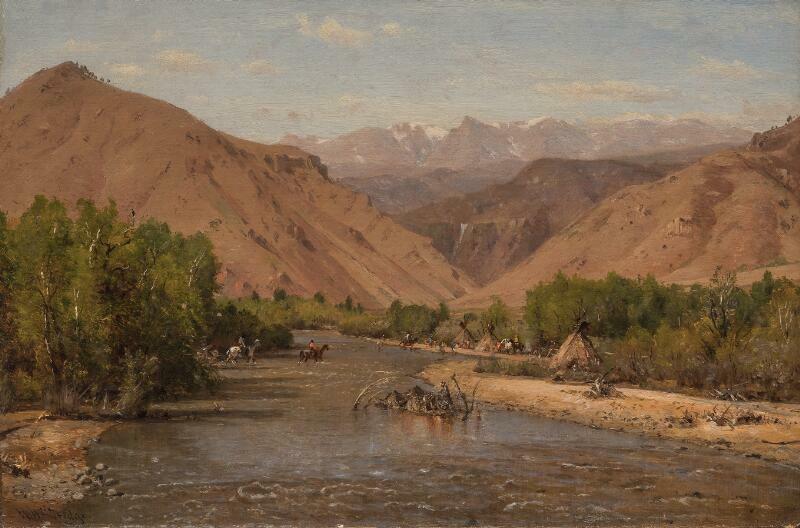 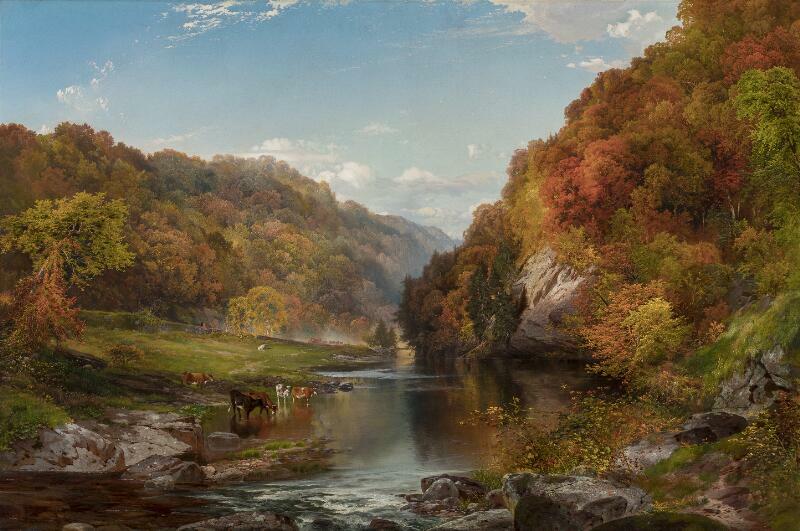 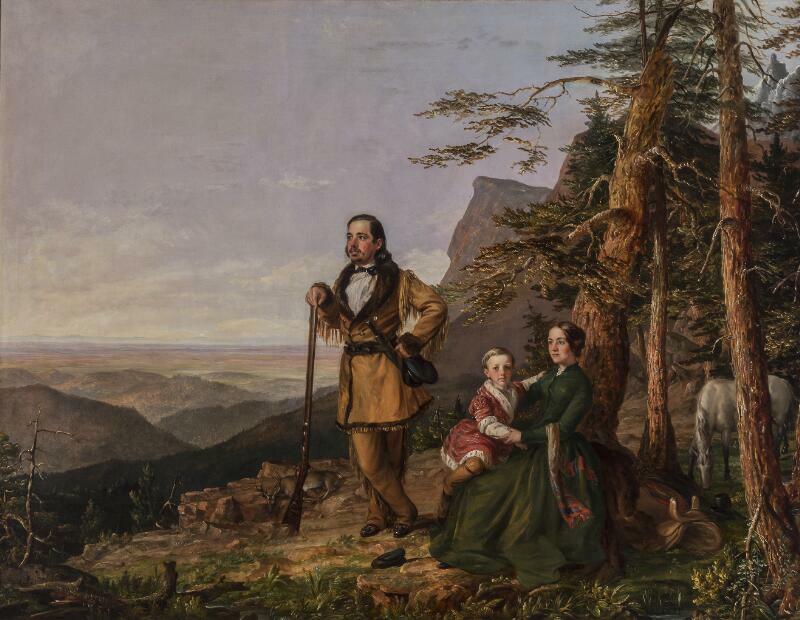 Silva’s serene painting reflects the evolution of the Hudson River school landscape tradition. 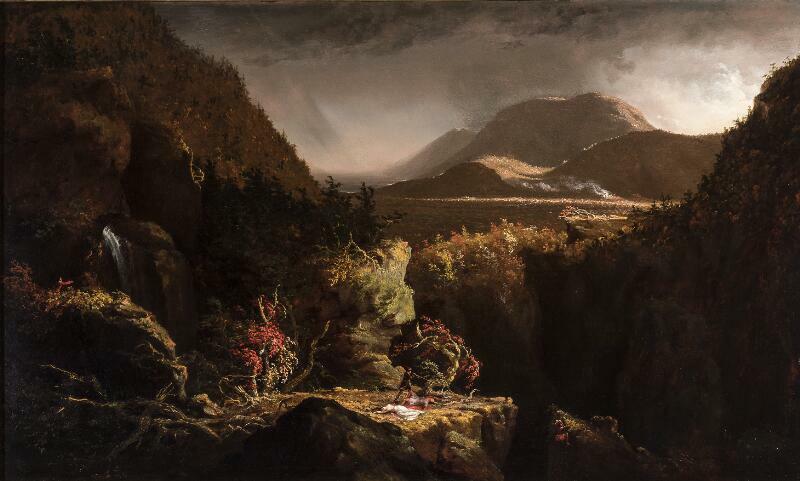 While artists affiliated with it had mined the same region in earlier decades for vistas that celebrated the dramatic character of the American wilderness, Silva and his contemporaries favored tranquil, horizontal compositions with diffuse light and smoothly painted surfaces.